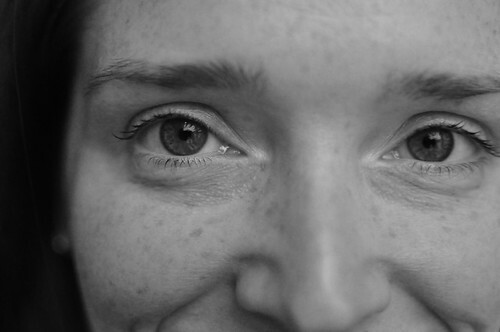 Texas Freckles: It feels like Christmas morning. I woke up early today and I don't ever remember being so anxious to get up. It felt like Christmas morning! I couldn't wait to look around. I had LASIK yesterday. I've been wearing contacts (or glasses) since about 1987 and couldn't see clearly past about 10" from my nose without them. Today I have 20/15 vision in both eyes. Isn't technology amazing? Other than having my eyes zapped with a laser, I didn't get much done yesterday. The postman did bring me some new Cotton Ease colors for the ripple afghan. This afternoon, I'm going to use the "I had surgery yesterday" excuse to take a nap. 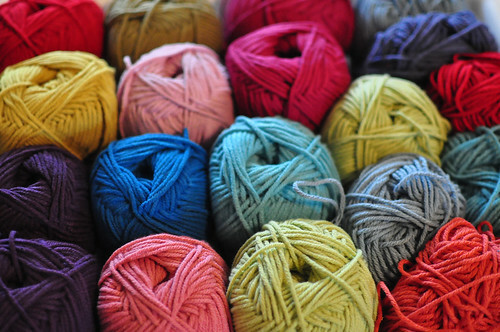 After that, I'll use my new eyes to start working the new colors into the afghan. Enjoy your weekend! Congratulations on no more glasses!! And I think "surgery" is a fine reason to take a nap. Actually, in my opinion pretty much anything is a good reason to take a nap. Good on you for taking the chance and having the surgery. I have quite a few friends who have taken the plunge and they've all been incredibly happy with the results. Yay for you!